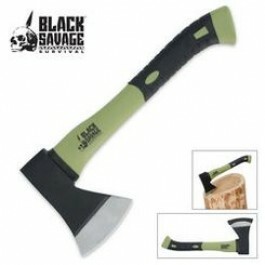 Buy Black Savage Axe , from Budk - RBC VISA for $22.99 only in My e-commerce. This Black Savage™ axe is built for tough use. It will get virtually any job done regardless of how intense it is. 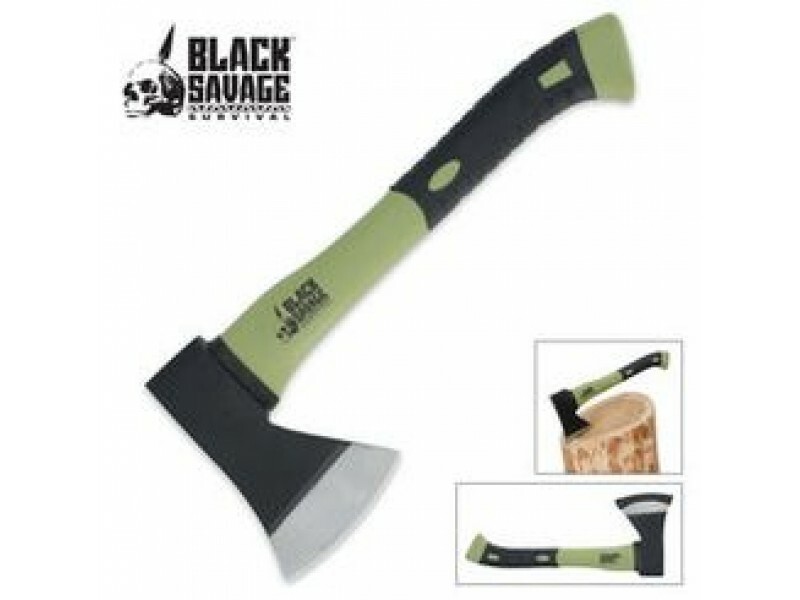 The extra thick axe head features rock-hard, all-stainless steel construciton with a razor-sharp edge that will hack through the toughest limbs and firewood.The rubberized handle provides a sure, slip-free grip. 4" bl., 14" ov.